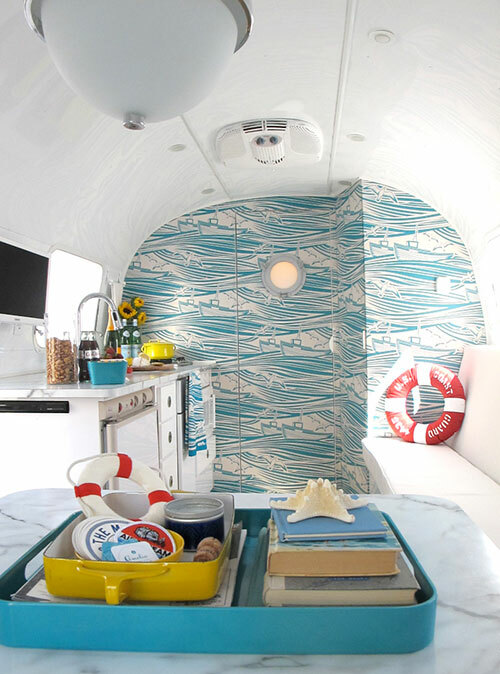 The light and airy caravan design was made using high gloss white enamel and faux weather wood vinyl. Design and function come together in this fantastic space, creating a perfect “glamping” home on the road. 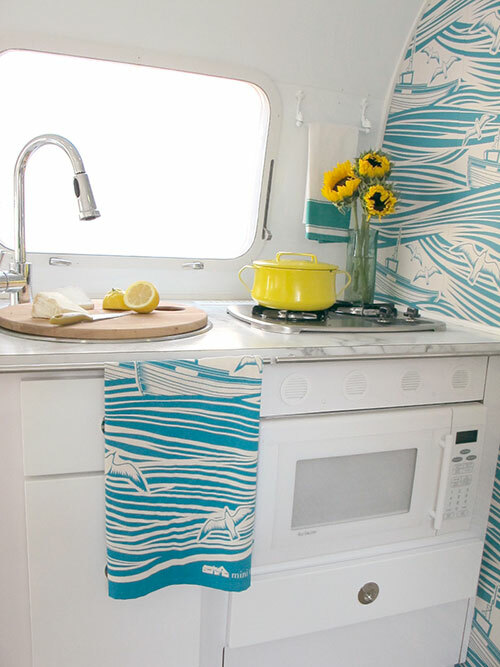 The camper has a wonderful nautical theme. 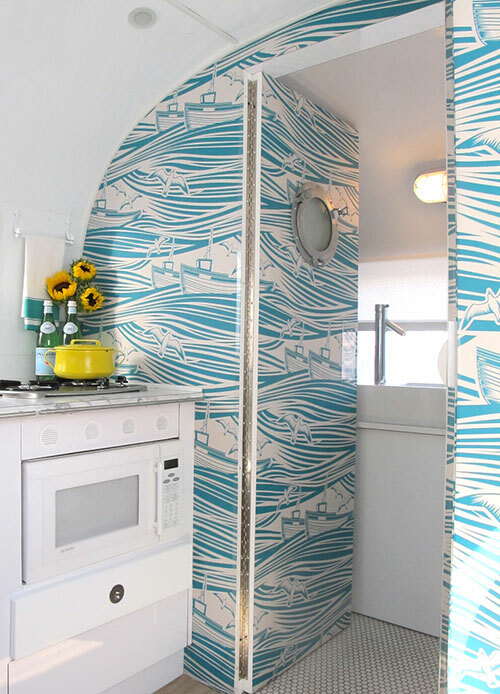 Light teal blue and bright white fill the caravan, brightening up the space. 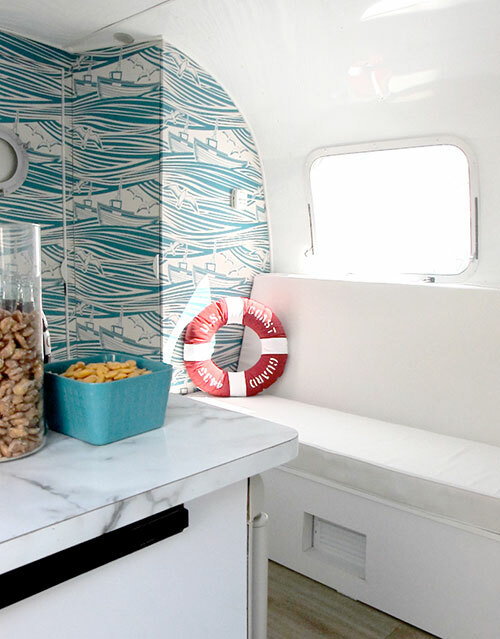 The fantastic light teal blue wallpaper is nautical themed, with boats and waves. 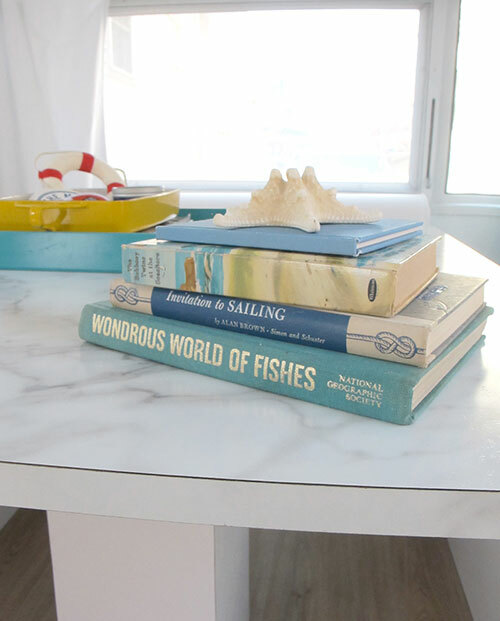 The decor stays within the nautical theme, and adds pops of color. 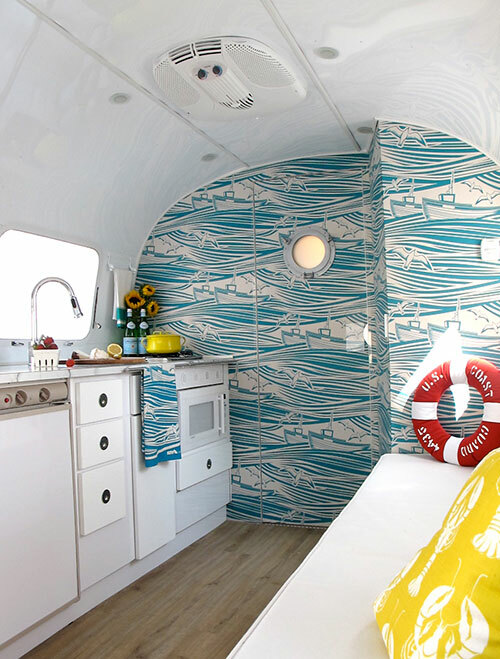 The red and white life preserver and yellow lobster pillow, accent the color scheme and theme perfectly. Yellow sunflowers and yellow ceramics, add a bit of sunshine to the space, bringing to mind, the bright sun on the open sea. 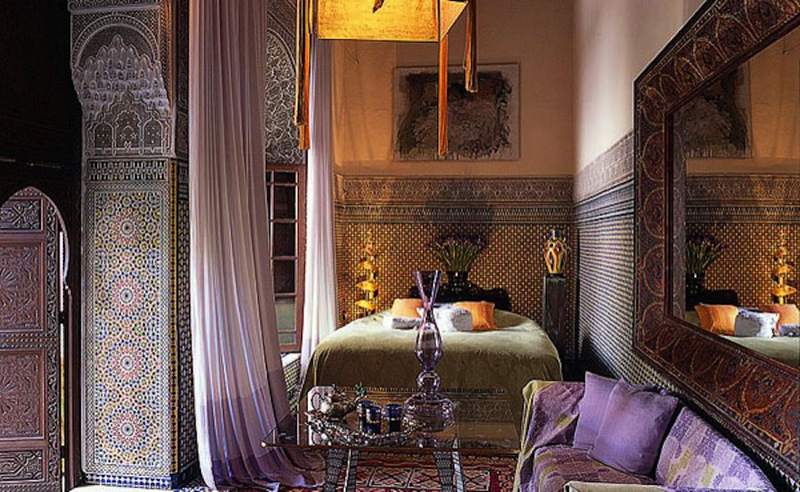 There are touches of vintage in this gorgeous space. Vintage books look great against the modern background, and add a homey feel. The same goes for the penny tile with gray grout in the bathroom. 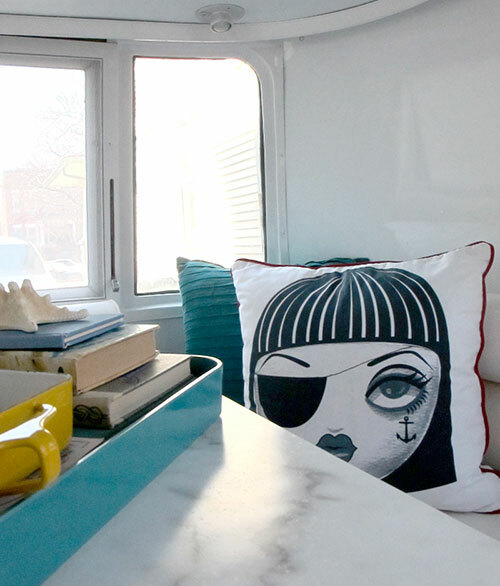 It makes the camper feel like a home, making it a great example of caravan design. 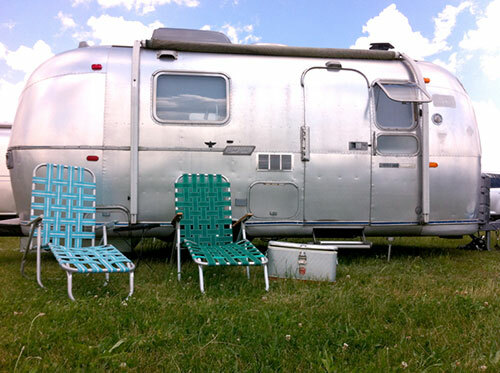 The other wonderful thing about “Amelia the Airstream,” is her function. The design accounts for almost every possible camping situation. The cutting board fits into the sink, saving space. There is an under the counter DVD player, providing entertainment when weather conditions are less than optimal. The separate bathroom and shower are placed near the hitch of the truck, keeping most of the weight of the camper, where it is supported. 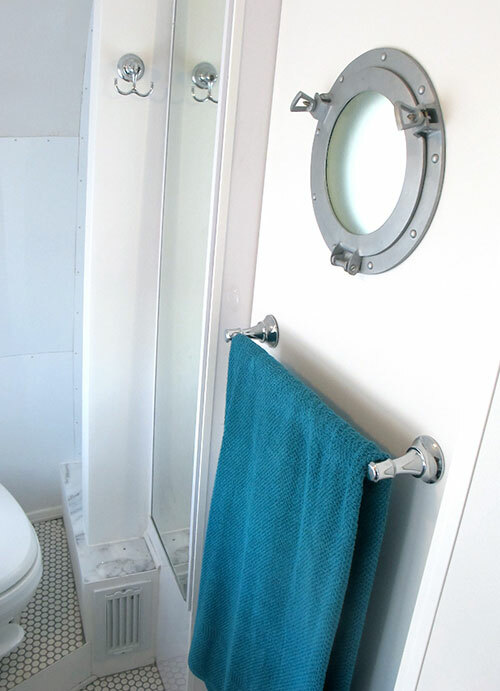 The frosted nautical window in the bathroom provides privacy and natural light. 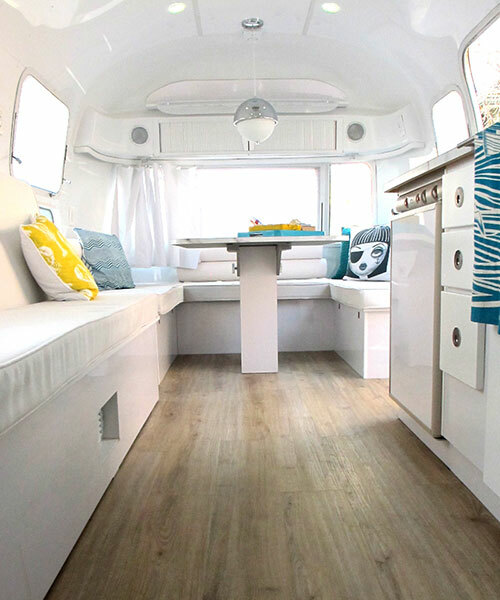 This caravan design combines design and function magnificently, while keeping it bright and uncluttered. A fantastic way to “glamp” and create a home on the road. Very nice interior! Not what you would expect from looking at the exterior, you would expect very rough and basic. Wonderful.